You could say we’ve turned into professional movers. 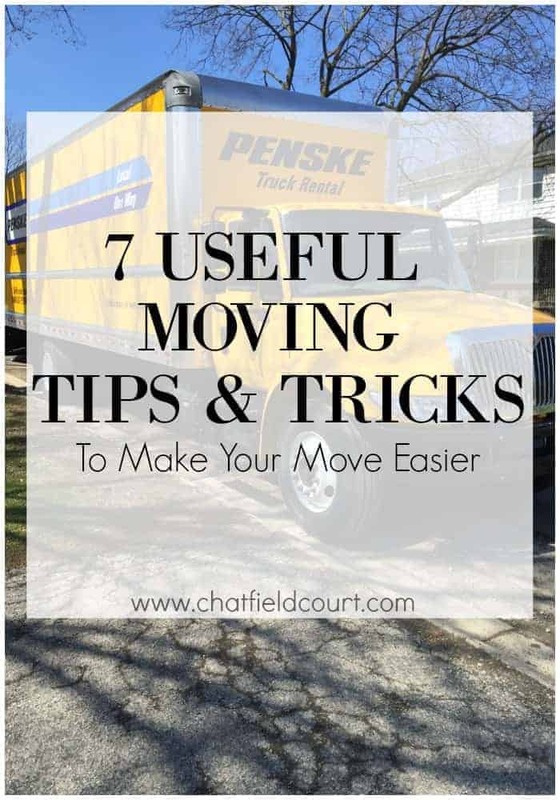 We’ve moved around a lot over the years, 11 times with at least 1 more to go, and I’ve picked up several useful moving tips and tricks along the way that have helped to make the process easier. 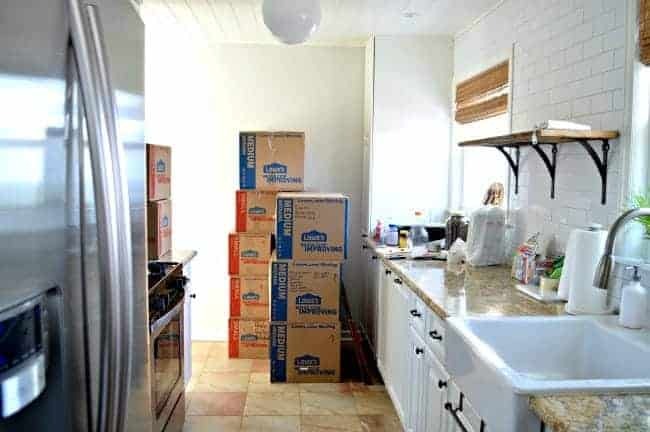 Now granted moving is never easy, but I’ve found that if I do these 7 things, it helps take a little of the stress out of a very stressful situation. This is a biggie when you’re packing for your move. You don’t want to move things that you never use. It’s a waste of time, energy and space, so take the time and do a good purge. If it’s been sitting in a box for years, you can probably let it go. You’ll be glad that you took this step when you get to your new place. Packing supplies can get really expensive real quick, so you want to make sure you shop around. I did a lot of comparison shopping this time around. 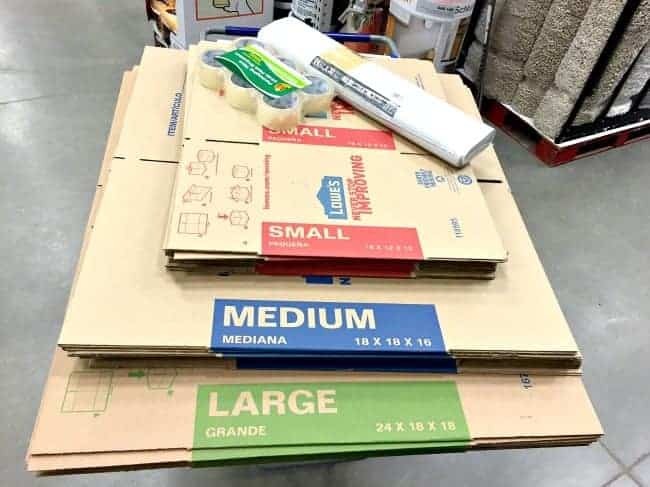 You’d be surprised at the price difference for boxes from one store to the next. You could also scout stores for free boxes. Our local Trader Joe’s had a ton of empty beverage boxes, free for the taking. They were just too small for our needs this time around but we’ve used them before. This is something that I used for this move. 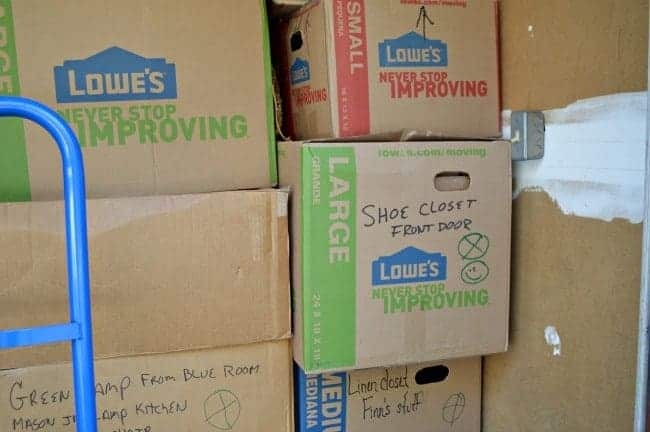 I’ve always labeled our boxes very clearly so I would know exactly what I had in each but, because we were going to put some boxes in storage and take some out for our apartment, I labeled each box with a red or green circle. Red meant that we didn’t need it and it stayed in the storage unit, green meant that it needed to go to the apartment. It also helped when we unpacked the moving truck into the storage unit. Boxes with a red circle went to the back of the unit while the boxes with a green circle went to the front. Simple but effective. In the early days, we would use newspaper to wrap our glasses and dishes but they always needed to be washed after they were unpacked. Once packing paper came out, we used that but it’s expensive and was thrown away after the move, which is a huge waste. The last few moves we ditched the packing paper and started using paper towels. After our glasses and dishes are unwrapped, the towels are reused for cleaning the new place or to wipe the dog. No more wasted packing paper. 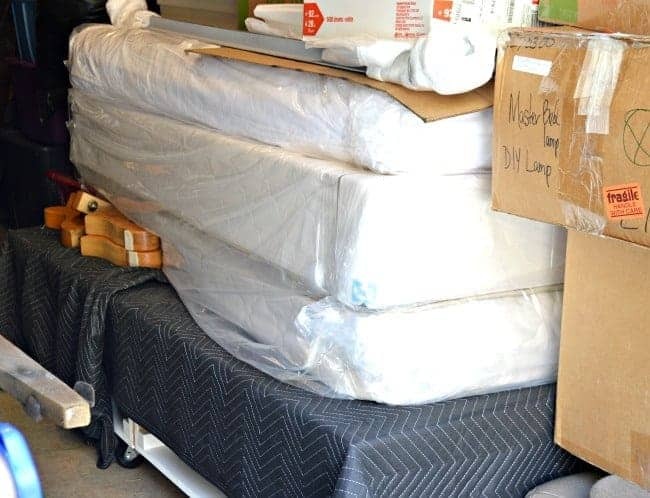 If you’ve moved before then you know what a pain it is to move a mattress, and keep it clean. 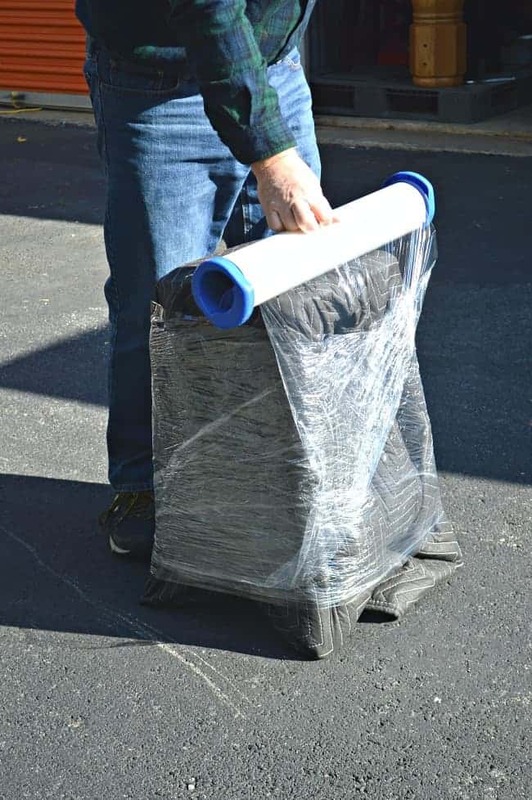 We found these awesome heavy duty mattress bags at a local home improvement store for $8 each. Well worth the money. Plus it saved us from the tedious task of wrapping our mattresses and box springs. This is, hands down, the best thing ever when you are packing up to move. We use it on everything from our rugs to our dressers, to keep the drawers from sliding open, to our couch and dining chairs. All of our furniture ends up getting wrapped in shrink wrap. Best stuff ever! The one bad thing about moving is leaving the doctor, dentist and hairdresser that took months to find. Just the thought of finding new everything is overwhelming. To make it a little bit bearable I make sure we visit all of our doctors right before we leave (I try to do this with the dog, too). We get our eye exams, physicals, dental checkups, and haircuts right before we move so that I don’t have to stress about finding us someone new as soon as we get to our new place. You still have to research and find that perfect place again but you don’t have the pressure to do it right away when you’re trying to get settled. There’s nothing worse than getting to your new place and not having clean sheets or the shower curtain is nowhere to be found. It’s happened to us before. Trust me, it’s no fun when you’re exhausted from moving and ready for a hot shower and a clean bed. I’ve learned my lesson the hard way. Now I pack a set of clean bed linens, clean bath towels, and a freshly washed shower curtain, with the rod and curtain rings, in a clearly labeled box. I’m careful to put it in the car with our suitcases and other necessities so it can easily be found. I usually end up washing sheets or a mattress pad the morning of the move but I’m so thankful I took the time to do it when we’re getting ready for bed that first night. What about you? Any useful moving tips that have worked great for you? Hi Mary Rose. So glad you found me. 🙂 It sounds like you’ve been busy moving and fixing up your house. We moved everything ourselves this time, from Chicago to North Carolina, and boy was it tough. We’ve been moved by companies too and I prefer that over what we did any time. Unfortunately, it doesn’t always work like that, though. I’m just glad that we’re here and all moved in. Best of luck to you on your next move and thanks again for stopping in. I had those boxes with hanging rods when we moved and made unpacking a breeze, closet-wise! I’ll try to remember the mattress bag and shrink-wrap idea! We are moving next week so this post was especially timely for me! Thanks for the great tips!!! That’s great! I’m so glad that you can use my tips. Best of luck on your move! All great tips! Will have to see if our home improvement stores have the mattress bags. Thanks, Pamela, I hope that you can find them. All of the times we’ve moved and I’ve never seen them before. They certainly made it easier to pack them up. You have some really good moving tips here and we would love to have you share them at our Show and Share Party. Thanks so much Jill, and I appreciate you sharing this with your sister. I’ve corrected the linking issue and sent you an email with the working link. Let me know if you have any other issues. Hello Kristi! You did a great job moving and fast too! I moved a lot when I was growing up. My mom couldn’t stay in one place very long. I think she just liked the chance to redecorate and then she got bored and wanted to move on. I guess that’s why I moved to our first home and haven’t left. 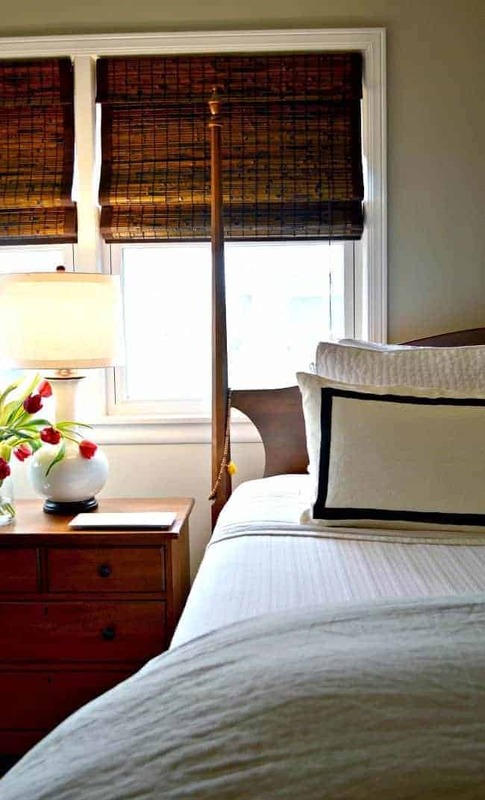 One thing I would add is making sure the bed is assembled first, along with your tips about linens. 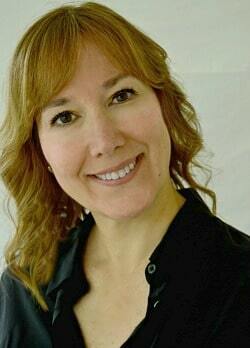 Hi MJ, so good to hear from you. I understand how your mom felt about moving. We’ve mostly moved for jobs but I do get bored quickly. Funny how some people are like that and others never want to move. Thanks for stopping in and sharing your tip. Shrink wrap is amazing thing. I worked receiving in retail for four years, and it does wonderful things in keeping bits together! I wouldn’t of thought to use it for moving, though! And labeling the boxes is one of the things we did when we moved, and it made the whole process so much easier. I wish we had used paper towels instead of newspaper, though – having to wash a bunch of our dishes before we could use them was a bit of a pain! Shrink wrap is amazing Jessica. I’m not sure we would have survived without it these last several moves. We would have survived but, you know what I mean. 😉 I agree with you in regards to using newspaper. Who wants to unpack a load of dishes that need to be washed right away? A big pain is right. Thanks for stopping by today. Hi! Great ideas! I used dollar store paper plates between my china plates and my pots and pans and any where else I felt necessary. It worked out great. Thanks, Brenda. Great tip to use Dollar Store paper plates. Thank you for sharing! Hi Kristi, You are so organized. 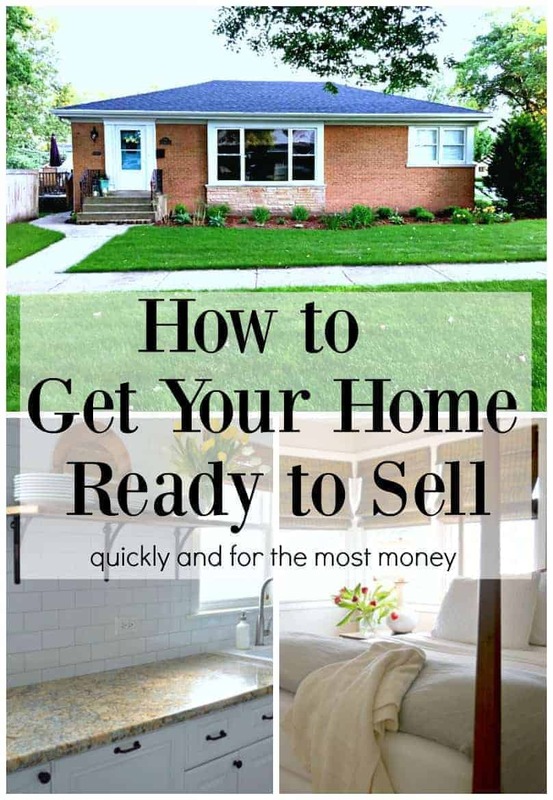 I have several clients moving now and would love to share this post with them. What is the best way for me to share? Cut and paste the link? Hi Tara. I’ve learned that it’s really hard to move, especially the way we did this time, and not be organized. It may take a little extra time to do but, in the end, it really pays off. It would be great if you could share. All you need to do is cut and paste the link. Thanks for stopping in and for sharing. I have moved more times than I can count. I, like you, used newspaper for years and washed all my dishes when unpacking. I hate washing dishes! Not to mention the waste of time and resources and the environment waste. Afriend that was helping me pack up my kitchen made a great suggestion. It is similar to yours, Use dish towels, hand towels, wash cloths and yes even the bath towels to wrap dishes and chotskies. I even use pillow cases and cloth napkins. No waste and they pad your glassware much better than paper and the cost nothing. Good luck on your house hunt. Mine has come to a screeching halt. I know that you’ve moved a lot too Debbie, so you understand what we’re going through. Thanks for sharing your moving tips (you’ll be using them soon enough). Great ideas! Ok, so our last move was literally across the street. We actually rolled the barbecue over and I hope I don’t have to move again anytime soon. However, your tips about the appointments and having clean sheets, towels and a shower curtain on hand are genius. I have seriously never heard anyone mention those things before and they make so much sense!! Hi. While I don’t envy your having to move, I’m excited (for you) that ya’ll have come to NC. I’m a born & raised North Carolinian. I think this the best place. I’m in the western part of the state in the Blue Ridge mountains. If you are not in this part of the state you definitely need to plan a visit. It is beautiful here. I hope that you & the hubs enjoy your time here. Best wishes. Hi, Cindy. We are excited too and looking forward to getting to know our new home state. The Blue Ridge Mountains…I bet it is beautiful there. Hopefully we’ll be able to explore your neck of the woods very soon. Thanks so much for stopping in, I truly appreciate it.